Finally after weeks of waiting we have the information we´ve been waiting for. 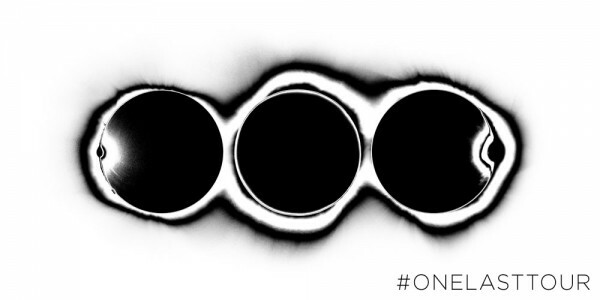 The Dates & Locations of the final tour from the Swedish House Mafia. After they announced their three stops on Swedish ground at the Stockholm’s Friends Arena in November some weeks ago, Axwell, Sebastian Ingrosso and Steve Angello got our attention during the last weeks with their “Spot the dots” campaign. The One last tour is separated in two tour legs. The first tour leg is kicking off at the 16th of November in Dubai and continues in India, Sweden, Denmark, Netherlands, France and of course Germany (6th December, Festhalle, Frankfurt) were a part of the toblip.com team will be. Final (until now) tour spot in Europe will be Oslo/Norway two days before christmas. To us it sounds a little bit strange that the guys announced no destination in Spain. At least they got a lot of love in Ibiza, Barcelona and Madrid. We have to add that the guys will announce the final tour station and two more countries in October. Maybe one more Masquerade Motel party in Miami. The second tour leg will start with the debut of South Africa at the end of January before the Swedes hit the States & Canada in February and March and will end (until now) in Los Angeles. All tickets will go on sale Friday, September 28 at 12:00 local time, except for South Africa and India where tickets will go on sale October 8 and Oslo starting on September 25.